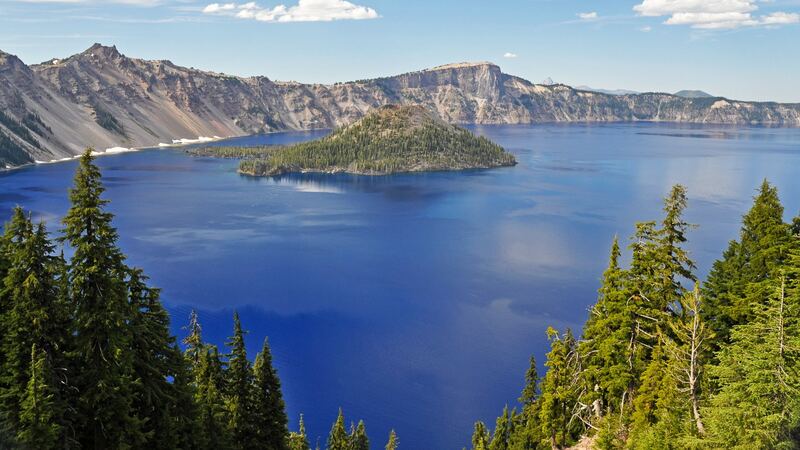 We’ll pick you up early in Bend and transfer two hours to the edge of Crater Lake. After a bike fitting and safety talk, our first ride follows the perimeter of the crater, gazing the entire time over its gorgeous setting and glassy waters. 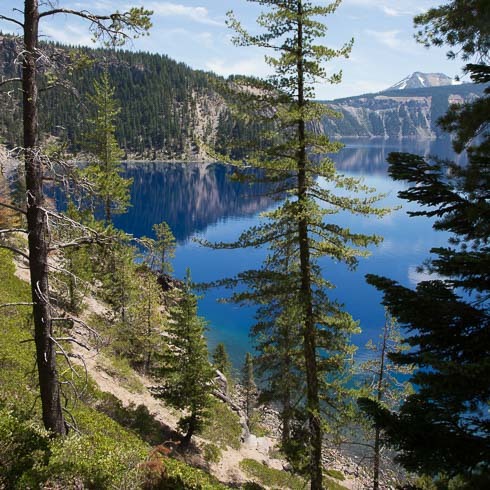 Midway through the ride, we’ll pause for a picnic lunch in the forest, then continue riding up one final hill to Crater Lake Lodge (or take a ride in the van and save some energy for the rest of the week). This afternoon, settle into the historic lodge, built in the early 1900s, or take a short hike down to the lake. Tonight, join your guides for a lakeside toast followed by dinner at the Lodge. After breakfast (and sunrise over Crater Lake for early risers), we transfer toward the West Cascades Scenic Byway and begin our ride to Bend. Along the slope of the Cascade Mountains, we’ll climb at ever-so-slight grades and pedal past little lakes on buttery smooth pavement. Cresting the tree line, we’re rewarded with glimpses of snowcapped Broken Top, South Sister and North Sister, and Mt Bachelor. At Elk Lake, there’s plenty of time to take a dip or rent a kayak after lunch. 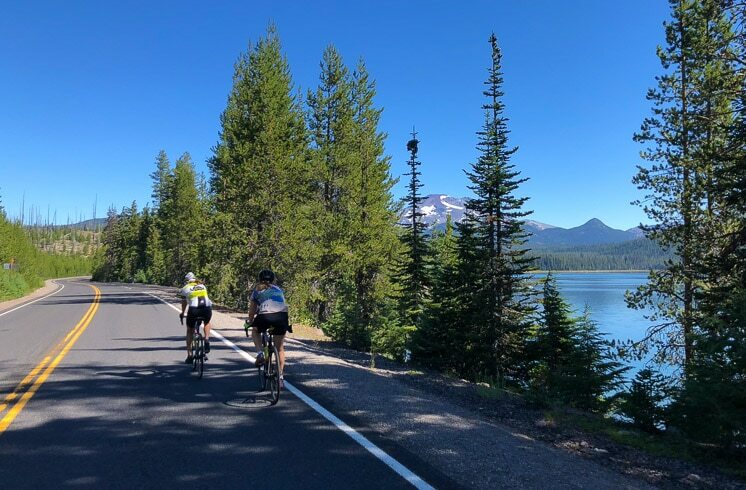 From here, opt for a lift in the van or continue riding back to Bend—those seeking more of a challenge will enjoy some true climbing along the shoulder of Mt Bachelor and into its alpine meadows before the long descent. Take the rest of the day to explore the city’s galleries or microbreweries before dinner at a favorite local restaurant. Today is all about the best of Bend. Our morning ride will follow the Twin Bridges Loop through the rolling hills that surround Bend and lush ranchland dotted with occasional desert scrub. 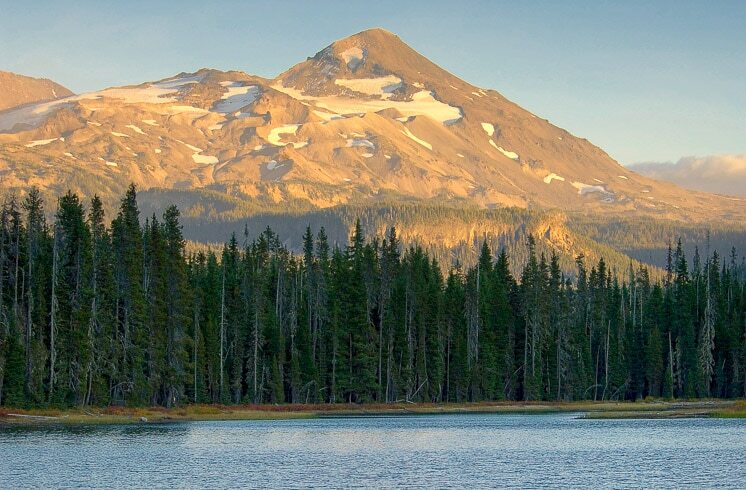 By the end of our ride, you’ll have memorized the familiar peaks of the Sisters, Broken Top, and Mount Hamilton, having seen them from just about every perspective. Stop for coffee at a local hangout in Tumalo, then it’s back to Bend for lunch: this city is serious about beer, so we’ll dine at one of the best microbreweries in town, sampling their standout IPAs or seasonal ales. Spend the rest of the day in Bend as you please. Our guides can help you hit the Deschutes River on a rented stand-up paddleboard or inner tube, or sip more Bend beers as you bop around town. It’s time to leave Bend behind as we shuttle north into the high desert surrounding Smith Rock State Park. Watch avid rock climbers scale the famous cliff faces as we set out on a little climb of our own up. Hike up Misery Ridge for sprawling views back toward Bend—plus all the rivers and basalt rocks in between—before trekking back down on trails that run alongside the river. After our morning hike, we’ll get back on our bikes and ride through farms and Alpaca ranches en route to the city of Sisters. Enjoy lunch on the wraparound porch of a charming organic farm, then finish riding to our next hotel, FivePine Lodge. Savor the privacy of your own Craftsman-style cabin, or venture out for dinner in Sisters, discovering its Western outpost personality. Today we’ll conquer the pass that has turned this area into a major cycling destination. 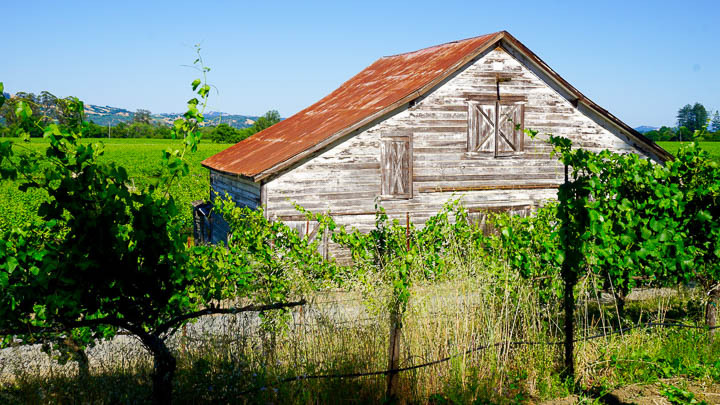 Warm up with a spin through Sisters, then start climbing the 19th-century wagon route that connected coastal Oregon and the high desert plains of the east. There are no wagons here anymore—now, the road is perfectly paved, rising from the low forest into the pines and finishing in gnarly lava fields. The diversity of scenery in the first 16 miles alone is staggering. When we reach the Dee Wright Observatory, set your bike aside and take in the views or explore the Lava River Interpretive Trail for a quick lesson on the area’s geology. We’ll descend down the other side of the pass, plunging into a verdant, mossy canopy that looks nothing like the ride up. Gather for a picnic lunch, then choose your adventure for the afternoon: stay the course and descend to Belknap Hot Springs for a soothing soak (followed by a shuttle back to Sisters), or conquer the summit and descend all the way to Sisters for a triumphant finish to the week. Tonight, join us for dinner to celebrate all the miles we’ve accrued! 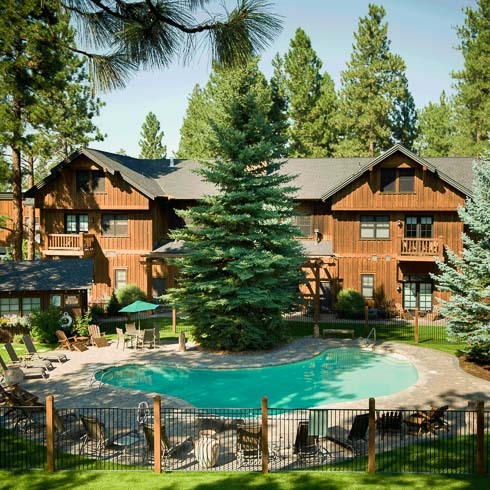 On our final morning in Sisters, sleep in and enjoy breakfast at Five Pine Lodge, or wake up in time for one last optional ride through Oregon’s high desert. Your guides will get you to the airport, or they can help arrange a 30-minute transfer back to Bend should you wish to stick around a little longer. 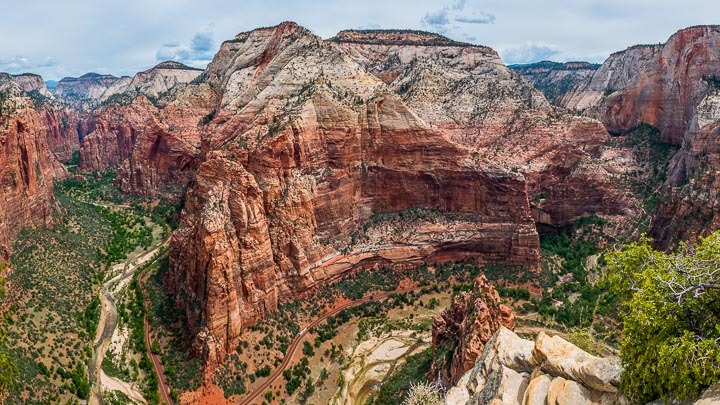 For training purposes and those sensitive to altitude, note that the elevation where we ride can reach up to 8,000 feet (2,438 meters) above sea level. The high altitude contributes to the Level 3 rating of this tour. 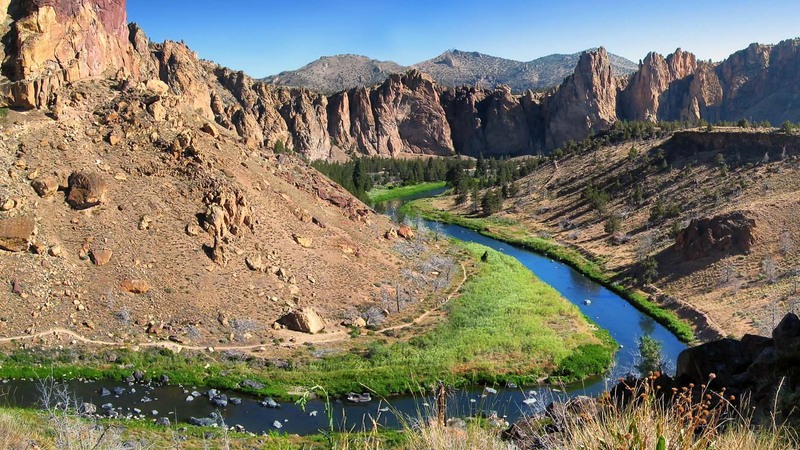 To show you all our favorite parts of Eastern Oregon, this tour includes multiple transfers. We like to think of it as an opportunity to experience a greater breadth of scenery and cover as much ground as possible. Due to National Park regulations, e-bikes and e-wheels are not available on this tour. And while we always prefer lesser-known roads, summer departures may share the roads with increased vehicle traffic. 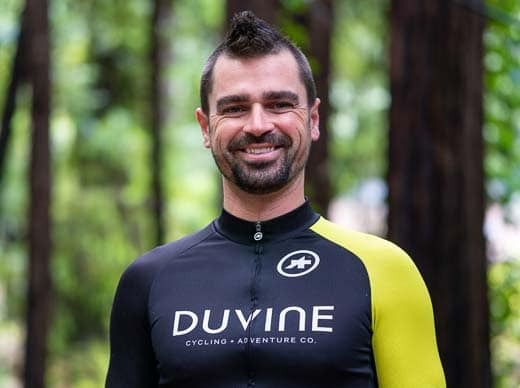 Some lodges on this tour are simpler and more rustic than typical DuVine accommodations, but were chosen for their location near national parks and access to excellent riding.